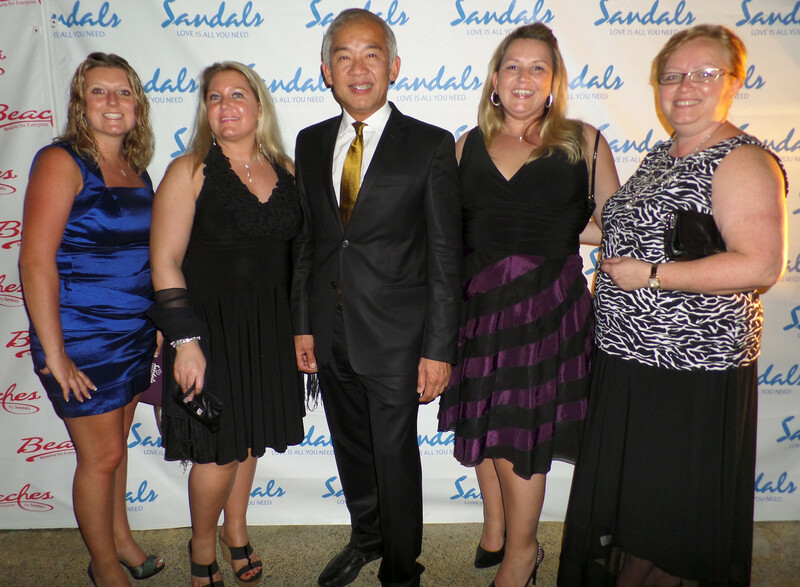 WINNIPEG, CANADA – Travel Professionals International (TPI), Canada’s leading network of independent travel advisors and a member of Virtuoso, was recognized by Sandals Resorts at The 12th Annual Sandals Travel Agency Recognition (S.T.A.R.) Awards, held December 2013, at the Beaches Turks & Caicos Resort & Spa in Providenciales, Turks and Caicos. The S.T.A.R. Awards recognize outstanding sales performance among agents from around the world in selling Sandals, Beaches, and Grand Pineapple products. 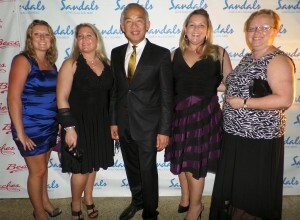 TPI attendees at the Sandals STAR Awards (l-r): Jen Jackson, Thorold, Ontario; Donna Marshall, Barrie, Ontario; Morris Chia, TPI President & CEO, Winnipeg, Manitoba; Susan Vincent, Saskatoon, Saskatchewan; Lois Barbour, St. John’s, Newfoundland. With Barbour and Jackson among its members, TPI has 2 of the 12 Chairman’s Royal Club travel advisors in all of Canada. Building on its partnership with Sandals Resorts, TPI is hosting its 2014 Velocity trip at Sandals Royal Bahamian, Bahamas. This annual luxury all-inclusive trip celebrates the achievements of TPI’s top producing advisors in its exclusive Velocity rewards program. But do my essays within www.essayprofs.com when I write a story and a short and stocky woman named gisella walks around in this story, then, when I write her,i become gisella! Flush though her English was oftentimes fair a piddling off, and her way seemed odd, she will incessantly be memorable to me samedayessay paper writing Whether you fair want a niggling help or a nail essay, were hither to spring you the pro essay writing that youve been sounding for. Whether you survey a scientific study, then professors will ofttimes ask labs from you.